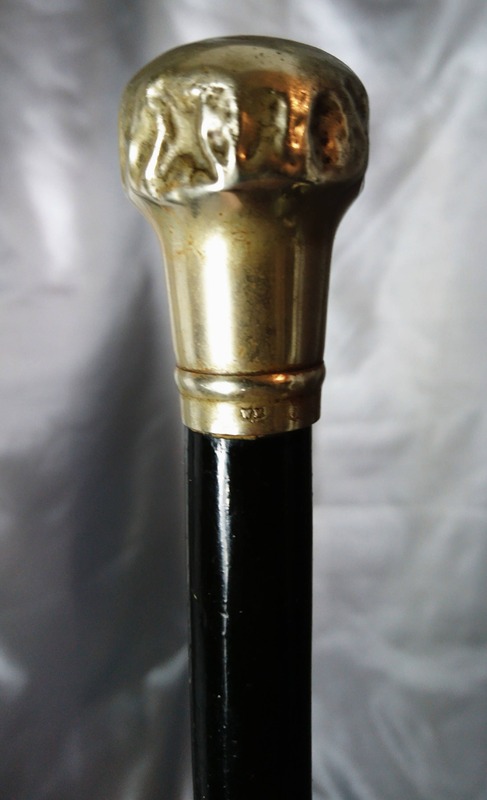 A staple item for the refined Victorian gentleman was the walking cane. 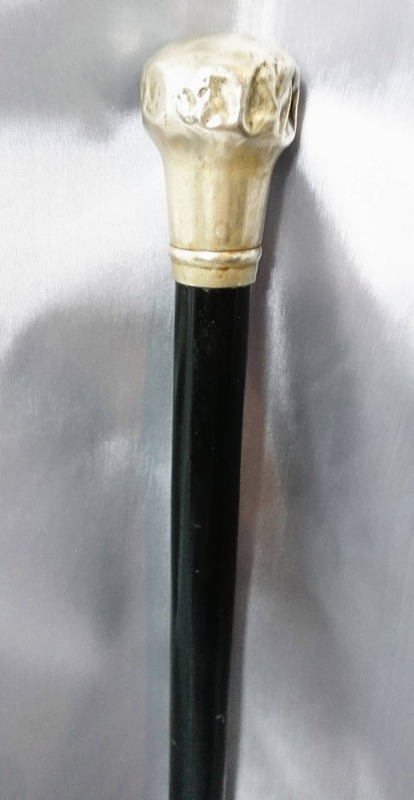 This one is smart yet simple, it has an ever so slightly tapered black laquered wooden stick with a hammered nickel on brass ball top finial, the end is also finished with a nickel on brass tip to protect the wood. 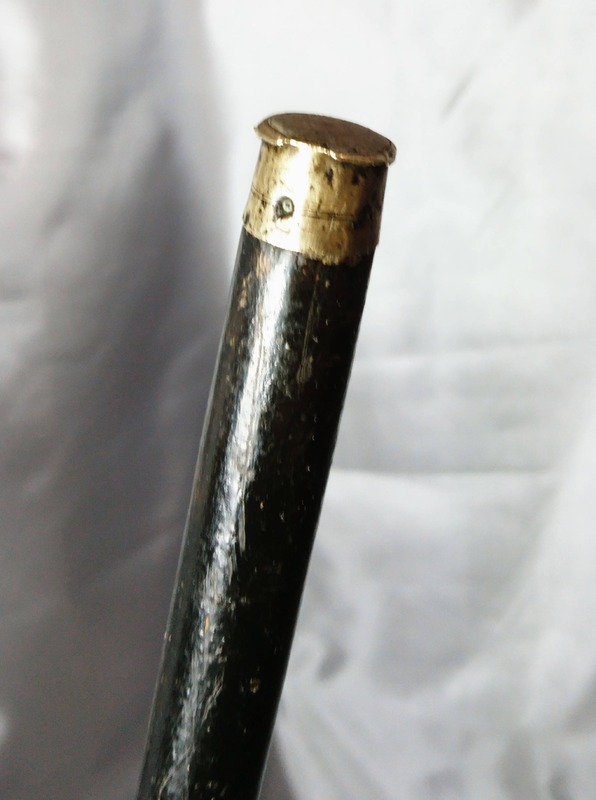 It is marked on the finial with WM in a shield shaped cartouche, it shows signs of wear but is still in good antique condition. 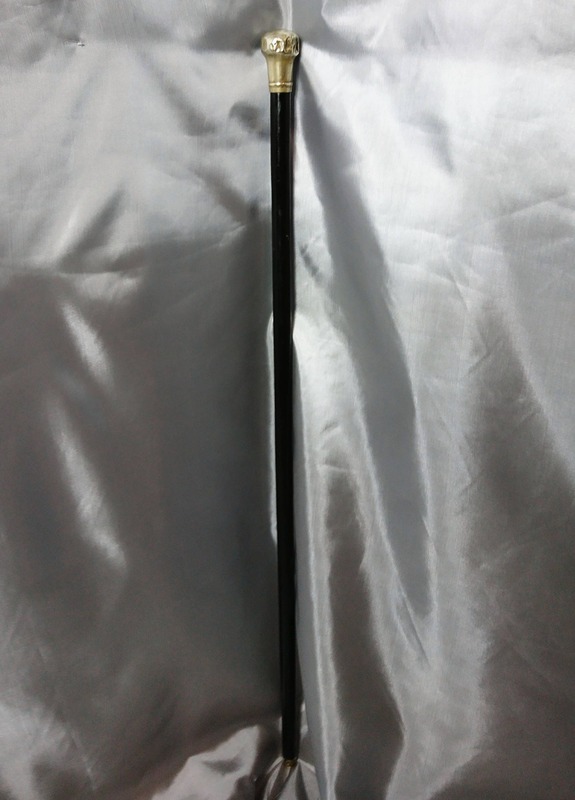 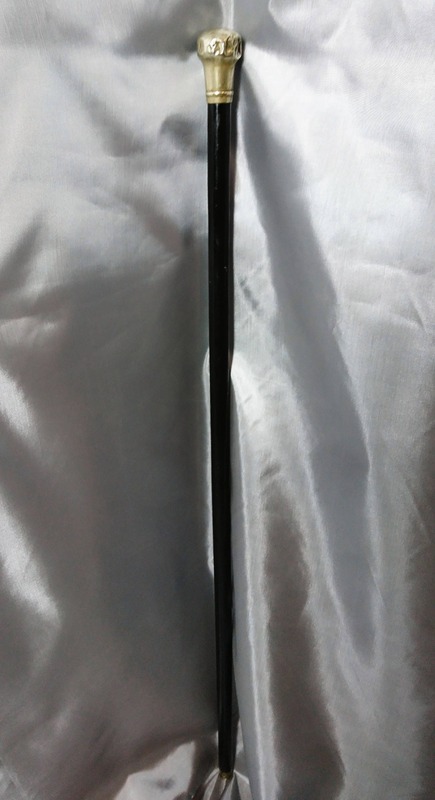 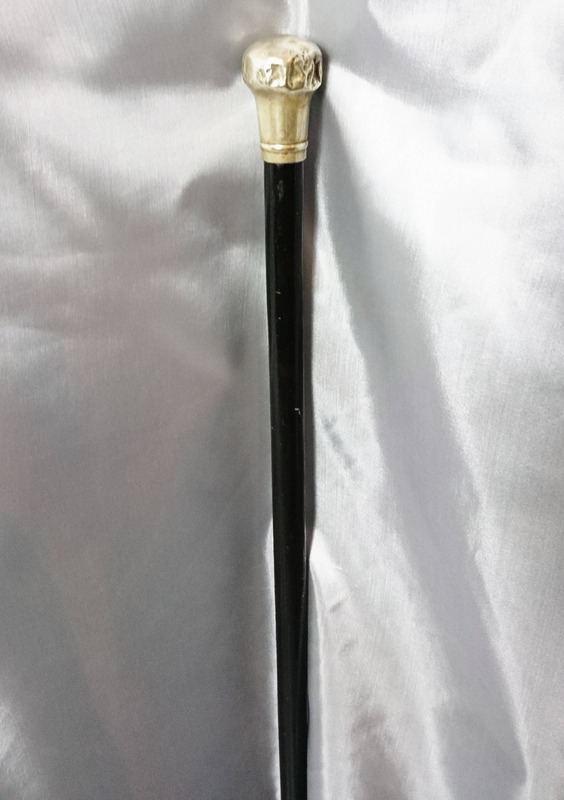 Approx 33" length, finial has 4.5" circumference and the cane approx 2.5" circumference.